We’ve all been through a crazy or tedious job interview, but some of us have actually been on the interviewer side where we’re trying to figure out how to even approach this person. Well, our next guests are going to discuss the whole scene and provide powerful strategies for shifting your hiring philosophy. 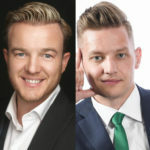 They are co-founders of the cutting-edge executive recruiting agency Y Scouts, Max Hansen and Brian Mohr. Their book is called Hiring On Purpose. The book is a ground breaking guide that will help you cut through the usual interview and resume BS to recognize and attract innovative problem solvers who perfectly fit with your company’s culture, mission, and DNA. 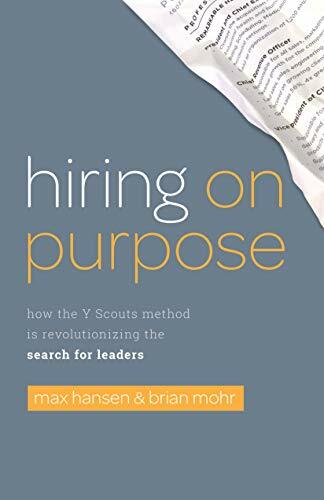 Max Hansen: I think for the first couple of years when we started Y Scouts, Brian and I felt like we stumbled onto gold when we even put the search term, “purpose-based recruiting,” when we realized that’s what we were doing. Nothing really came up, so we were really hesitant to share it with the world at first. We thought we had the first mover advantage. We went through about two or three years of being in that first mover position. It took us some time to realize after selling and pitching and telling people about what we’re doing, people are very receptive to it but it was still so new for everybody that we started to realize that we did have first mover advantage, but we needed to educate everybody. We really needed this quickly share why purpose matters and why hiring with purpose matters so much. It’s kind of how we started. 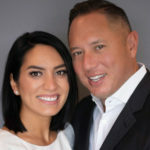 Brian Mohr: I would add to that, as we began this journey and began having really great success and impacting the lives of the leaders that we had the opportunity to work with and place into organizations who would then have a pretty massive impact on the teams and the organizations that they’re leading. Our larger vision is to connect 10 million people with work that matters. When you start to reverse engineer 10 million, to do that one at a time is going to take out a really long time. The idea of capturing all of our experiences up to this point and sharing those experiences and the processes that we’ve used and find over time, and sharing those with a larger audience would help us achieve that 10 million mark which we are focused on doing. There’s no way we’re going to get to 10 million one at a time, so how do we just share this much more broadly so that people can begin to implement these processes and some of the learnings that we’ve had to date? Rae Williams: What are the detrimental things that you were seeing in hiring practices? Brian Mohr: I think the biggest piece on that is most organizations approach the hiring process as a transaction. For so long, we’ve relied on the alignment between a job description and the candidate’s resume, and there’s a huge place for that, obviously. There’s a job to be done, and there are certain experiences and skills that a candidate must bring to the table in order to be successful in delivering the outcomes that that role needs, to be delivered or have delivered. That transactional approach is not serving us as well as it once did. And as we’ve moved from much more manufacturing based economy to a knowledge based economy, and as roles are so much more cognitive in nature and much more non-routine than they’ve ever been. The problems that we’re facing today require such a different level of creativity and innovation. We’re tapping into the part of the human experience that doesn’t show up on a resume or doesn’t show up in a company’s job description, and that is this notion of purpose and values and cultural alignment. That’s a really hard thing to vet out if you’re relying dominantly on the resume and the job description to facilitate that connection process. It’s moving away from a transaction to a relational process and you know, that’s hard, we’re fighting decades and decades of rituals and habits that I think have served us well but are really beginning to outlive their usefulness. I think that’s probably the biggest piece. Max Hansen: I think what I’d add to that is, hiring is hard. It’s a very hard thing to be good at. I always look at it like it’s like becoming a better leader. It’s one of those things that you always are going to have to be working on becoming better at. It’s a muscle that you’ll always have to be kind of working out. I think when we think about how hiring must change, not only should it change, must it change from a hiring around purpose, values, cultural aspects. We see a lot of leaders acknowledging that hiring is the most important thing that they must do, yet I see a lot of leaders also trying to delegate hiring, because it is difficult and they want to work on other things. I think it’s a combination of all those things, or just trying to kind of wake people up and let them know not only has it changed but you know, you’re going to have to spend more time on it and really focus on it. Be super intentional about it, in so many ways. Rae Williams: What is that first step that people can take to make sure that their hiring practices are not, as you said, transactional? 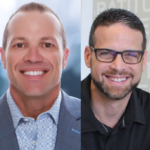 Brian Mohr: I would say that the amount of investment and time and energy you put in on the front end before you even begin looking for people and beginning the outreach process is absolutely where it starts. To dust off last year’s job description or to surf the internet and look for similar jobs and begin to piecemeal and borrow language from other people’s job descriptions to create your own job description that you’re going to use to attract talent. Those processes aren’t going to lead you to a very good place most often, so I think that front end investment of connecting with the right people within the organization, that understand the role, that understand the outcomes that the role needs to deliver, and to make sure that you’re really collecting the opinions, the thoughts of the right group of internal stakeholders to help define what we really need, who are we really looking for, what are the outcomes that this will really need to deliver as supposed to. As opposed to listing up long list of tasks and responsibilities and the day to day things that often times change and just ensuring that there’s clarity of vision of what the role really intends to do. It’s how much you prepare and the type of practice, if you will, you put into it on the front end as indicative of the type of results you’ll achieve when the process concludes. Rae Williams: How do values play into this? Brian Mohr: When it comes to values, most organizations that we work with and most organizations in general, obviously have a set of values. In the interview process, in order to understand what those values mean, within that organization and perhaps sessions that we spend time with our clients, really find out what those behaviors look like in that specific environment. Then from there, crafting the right types of questions so we can ask candidates to give us, tell us about times when they show that behavior in another job just to make sure that they see it the same way. They value the same things, and there’s alignment between their personal values and the company’s values. Rae Williams: Give me an example how this is affecting people and how this is working? Max Hansen: The best example that jumps of the paper at me is we worked with an organization, it was a high end drug treatment center. They were looking for somebody to run their operations. So we start our process with a discovery process, which means when we reach out to candidates, we’re retained, and we’re exclusive. We don’t disclose the details of the role or the company because we really want to learn about the candidate genuinely and authentically and the best way to do that is to start asking a questions about them before they know why they’re answering the questions in. I was actually training a newer employee at the time, and this was several years ago. We’re working for the company, the organization that owns these drug treatment centers, and we found a gentleman that had run a multisite restaurant chain. We didn’t have direct experience necessarily the in drug treatment. When we’re in that discovery process, we asked them if you could make the same amount of money and do anything that you wanted, what would you do? He went on to tell us that when his brother played professional baseball, hurt his knee, had to get knee surgery, start taking pain pills and really fell into this deep bad place in addiction to drugs. He said he would love to work for a drug treatment center. That is just a really great example of just a bullseye of somebody really having purpose and passion around something and us screening for a role in that covert process where there is direct alignment. He went in and did a fantastic job, and the company ended up being very successful. That’s just a great example of how powerful purpose discovery can be. A lot of times it’s not as black and white as that. You can find alignment through different things around their purpose and passions. That was a direct hit. I always like to give that example just to give somebody a taste of how powerful it can be. Brian Mohr: I think it is an excellent example and it’s the one that has stuck with me through all these years. I think the larger narrative around this that I’d like to add is, for most people who are listening to this, there’s a good chance they’ve been recruited in the past, whether it be through LinkedIn or through a referral network. I think that approach, again, is it’s fast forwarding to a transaction or a step in the process that is a little too far down the road. There is so much discovery and curiosity that needs to be explored before you even get into that. Really getting into all of those details without them knowing how to answer, because they’ve already been informed of the company or the job and they can begin crafting how they might answer in a way that they think is what we want to hear so that they could progress through the process. Versus, let’s just talk about you. If you don’t have any of the details of how to answer, then that ability to get authentic with somebody is just so much more available. There’s nothing wrong with that, but the organizations that particularly align well with Y Scouts and our process, those are the companies that want to know the real person behind the resume and are relying on us in the thoroughness of our process to politely weed people out that are driven by the extrinsic motivators, primarily versus the intrinsic motivators. Frankly I think that’s the potential that we’ve yet to tap in business—what’s inside people is what’s in their heart and soul, not necessarily what’s on their resume. Max Hansen: I would add to that a bit. There’s people that might be listening to this that kind of poo-poo the idea of this covert process because most people aren’t in a position like we are working on the behalf of people. What I’d say to that is if you plan your process out properly, if somebody even knows the role and the company and you really genuinely start the interview process, by doing discovery and learning about them first, you get the kind of the same result, you get somebody that kind of drops the mask and gets authentic and really, you get to a better, more authentic place, and you learn more about people. I know when we talk about being covert, the first thing most people think is, I can’t do that because most people are doing their own hiring. But I add that because it comes up quite a bit. The book talks a lot about it. The process is really just focusing on doing deep discovery and learning about what matters most to the candidate and the person first. When you do that, things tend to flow a little bit better. Both sides get a little bit more authentic, and the ultimate goal I think is everybody shows up to an interview with a mask on. Or most people show up in an interview or any type of interaction with a mask on. Now when you get vulnerable in both sides that mask comes off and then you really get to really what matters. Rae Williams: Now do you guys think that this is a definite pathway to hiring good leaders or is there a separate process we should be looking for or should do when specifically hiring for leadership? Max Hansen: Brian started to get into some of the preparation. I always say that is very important. But you know the additional preparation that he was referring to as well is when it comes to hiring leaders in particular and anybody, but particularly leaders I guess, it is really having a plan. Having a plan of what types of questions you are going to ask. What you are actually listening for, there is this kind of dance of really discerning whether or not this person is a fit, as well as selling the organization. I think there is a fine line between falling too far on each side of that line. And then being ready to know how you’re going to make that decision. Great candidates come through relatively quick, and I am not suggesting that you have to make quick rash decisions, but have a plan to know when somebody great comes through. What questions you’re going to ask, what you are listening for and then how you’re going to make that decision is part of the equation as well. Brian Mohr: I think there is a next level, specific to leadership is around this notion, does the company have a particular leadership philosophy? And if so, what are the elements or the ingredients of that leadership recipe? Taking the time to think about what does leadership mean at our organization? What we have found is there are three behaviors or qualities that help us really sort of separate great leaders from good leaders. And great leaders are those who drive results and know how to do that through other people. There is an intense focus on the development of the people that they have the honor and privilege of leading. They are constantly leaning into learning and have a growth mindset. So this notion of driving results, developing people and learning relentlessly, are three characteristics that we believe are non-negotiables when it comes to leadership. And that is what we use at Y Scouts, and that is not to say that every organization has to use those three. I think we’ve all worked for people at some point in our career who have risen to a role of leadership because they were really, really good individual contributor and making that leap from what got you, what helped you become great as an individual contributor is exactly what will hold you back from being a great leader to help other individual contributors perform at their best. I don’t think we spend enough time helping people make that transition and I don’t know that organizations have really taking the time to define what is being a leader mean at this company, at our company? What are those qualities, what are those characteristics, what are those personality traits that are the non-negotiables of what it means to be a leader here? We share what we’ve learned through those particular three—driving results, developing people, and learning relentlessly—that anyone can adopt as their own. If organizations find that they’ve got one or two that are far more relevant to their environment that’s great, but I think the importance of defining leadership within the organization and what that actually means is a step that has to be taken, so that you don’t fall under the trap of just hiring the best individual contributor that found his or her way to the top. Because they’re just superman or superwoman and are great at doing the work themselves, not necessarily doing it through other people, helping people become their best, and then again, constantly leaning into learning and that sense of curiosity. Max Hansen: I think when it comes to that leadership model. I think it is also a great way, I know we are talking about hiring, but I think it is a great way for companies to assess themselves, if they don’t have a model already that they are using to assess themselves. Brian always used to tell me the fish always stinks from the head. So, if the leaders aren’t exemplifying those three elevated behaviors, typically that becomes a problem. Usually hiring somebody in after that isn’t necessarily always going to take care of that problem. So I got to say that with a smile in my face because we say it obviously quietly amongst us. It is not something we blast from the hills, but I think it is kind of true. Rae Williams: Do you guys have any example of a situation where this wasn’t applied and it all fell apart or what happens when people don’t employ some of these principles? Max Hansen: We start with the story about the Chicago Bears choosing to hire Jay Cutler as their quarterback. You know when I think about the leadership model, when he was a Bronco before he went to Chicago, was he a relentless learner? Maybe. Did he drive results? Kind of, did he develop other people? It didn’t seem like it. So, I don’t know. I’m just trying to give an example of maybe a more high profile type of hiring or signing that most people know about that we talked about in the book. Brian Mohr: My mind goes to a lot of the high-profile ones, and I don’t want to necessarily beat up the high-profile examples. What I think about is the overall workplace culture that we’re all working in right now in the United States as evidence to buy all the data suggesting there’s very few people who are coming into work and finding a sense of meaning and purpose from the work experience. It just screams for the importance of really thinking about and upgrading the way in which we’re approaching our leadership hiring process and those that we are putting into leadership roles, ensuring that they have the qualities and recognize that leadership isn’t a right. It’s a privilege, and if you are going to step into that role then you need to be modeling a very different set of qualities, behaviors, characteristics than those individual contributor roles and all roles are necessary. Rae Williams: If you guys could issue one challenge to your readers and our listeners that’s going to change their hiring practices today, what would that challenge be? 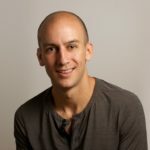 Max Hansen: I would challenge leaders, presidents, and CEOs of companies, especially small to medium size companies or startups, how much time are you actually dedicating to the hiring process? How are you prioritizing it? I think if you are the leader of an organization, whatever you spend your time on is showing the rest of the organization what’s most important. And you know, I haven’t met many leaders that don’t agree that hiring is if not the most important, the most important thing that they must do right. So my first challenge is, how much time are you spending? I think in a company that is a growing company, it is somewhat close to a startup phase or a small business, that leader needs to be spending 25% of their time in hiring processes or with potential candidates and candidates coming through the process. That would be my first challenge: how much time do you actually dedicate to the thing you’re saying is most important? Brian Mohr: Yeah, I would agree with that, and maybe as a follow-on step, I would challenge whether it is a CEO, the president just hiring leaders in general, is they need to be proactive. We are in an environment right now that is as fiercely competitive for great talent as ever, at least in my career. And the notion that we are going to write up these great job ads and run them on the internet and expect people to flock to us, I think is not going to be necessarily lead to a good outcome. Being proactive, having clarity of the people that you as an organization want to target and spend your time with in being the aggressor and proactively reaching out to the people you want to spend time with is exactly what the order of the day is, given the competitiveness. Not to mention, even if we weren’t in as competitive in environment as we are right now, there is nothing that makes an individual feel better about themselves than if they’re being contacted by an organization that recognizes something special about who they are and what they’ve achieved. I think this notion that being far more proactive as oppose to reactive would be my follow up to Max’s challenge. Rae Williams: Is there anything else that you think is important that people know or consider when it comes to their hiring practices and when it comes to interviewing candidates? Max Hansen: There are a lot of answers to that, but what jumps to mind, I think it follows our philosophy and we have seen a lot of success. Put together a process that makes sense, where you genuinely get a learn about the candidate on the front end, showing that you do care about who they really are versus just jumping right into experiences and what you can do for us. I would challenge folks to really look at their processes and see if it is set up in a way, where it is a process of care. We are learning about the individual and what they most value. One thing we’ve learned in working with a lot of great clients is most people aren’t that good at interviewing. They are not prepared. They don’t know what they’re listening for, they’re really not that good. So, become better at interviewing, get prepared, and then I would also throw out there, measure and ask candidates about their experience during the hiring process even the ones that don’t get hired. Find out what their experience is like through that process, and does it align to the organization and the experiences and employee because candidate experience quickly turns into employee experience. So those would be a couple other things I’d throw in there. 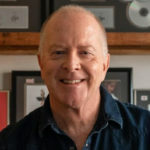 Brian Mohr: I think a lot of it is just a result of we’ve all become so accustomed to, and rightly so in most areas, the only way to manage something is to be able to measure it. You’ve got to have that quantitative focus on the things that you are trying to accomplish yet at the same time, what’s inside somebody’s heart and soul that is hard to quantify. And the Einstein quote of, “Not everything that counts can be counted and not everything that can be counted counts.” People aren’t their resume. That is simply a snapshot of the things that they’ve done, and sometimes, it’s been embellished a little bit, right? Using that for what it’s worth, but going well beyond that to recognize that these are people. These are human beings. They are so much more than what is on a LinkedIn profile or a resume. Take the time to truly discover what’s behind that resume, what’s behind that LinkedIn profile, I think is uncharted territory, right? There is no one way to do that yet. I think it is the biggest untapped potential we have to increase productivity, to increase the service delivery for those we serve, which inevitably lead to a lot more profitability and a lot more prosperity for everybody. Max Hansen: And to that end, the good majority of people that we reach out to, they’re very talented people that aren’t looking for work. So, they don’t have a resume typically that they have updated and a lot of times their LinkedIn they’re so busy and talented they don’t really have their LinkedIn very well built out. So, I would say, again we don’t post jobs so it is very highly targeted. We really have to learn and dig and get detail behind what it is we see as the interface. Whether it be a resume or a profile but the majority of the time it’s not a resume. Majority of the time, it starts out as a profile or just a name of a person who we know is in a role with an organization that may have some cultural alignment to an organization we are working with. Get Max and Brian’s new book Hiring On Purpose on Amazon. Find out more at YScouts.com.